Modern Single Arm Wall Sconce with Square Crystal Blocks on Stem and Back plate. 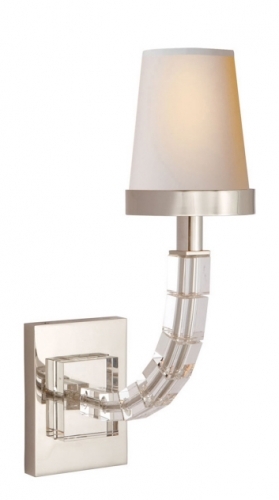 Sconce shown in Polished Nickel. Holds 1 B Lamp- 40 Watt Max (Not Included).